How to sleep better? 15 Sleep tips to help you with that! Adequate sleep is essential for leading a healthy lifestyle. As they say, proper diet and a good night’s rest is what you need to make it all better. Sleep is the key to maintaining both physical health and mental health. Not giving your body enough sleep will not only trigger health and psychological issues but might also endanger your life and safety. The quality of the time while you are awake is directly proportional to the quality of your sleep. Sleep determines everything no matter how unimportant you may think it may be in your fast-paced life. But don’t forget that you need to slow down a while and give your body the well-deserved rest that it requires to maintain that speed in your life. This is a surprisingly true fact. Sleep strengthens your memory and increases creativity. During sleep your practice skills which you have learned while you were awake get better and the emotional memory components helps in enhancing the creative process. According to Dr. Rapoport, a professor at NYU Langone Medical Center, “If you are trying to learn something, whether it’s physical or mental, you learn it to a certain point with practice. But something happens while you sleep that makes you learn it better.” Therefore, if you are learning something new, be it a foreign language or a sport, your performance tend to get better after you sleep. It is also a popularly known fact that if you have something important to remember something in the next morning, repeat it in your mind several times before you go to sleep. You have more chances of remembering it. It is undoubtedly true that sleep determines the quality of your life. Too little or too much sleep relates to a much shorter life span than that of a person who gets an adequate amount of sleep every day. Sleep better to live better and longer. Health issues such as cardiac problems, diabetes, stroke, premature ageing and arthritis are associated with inflammation. Proper sleep helps reduce the high blood levels of the inflammatory proteins such as C-reactive protein which aids in cardiac problems. People suffering from sleep disorders such as insomnia and sleep apnea should seek proper medical aid to treat these problems so as to improve their inflammation and keep their blood pressure in check. ADHD is a common ailment that children undergo often. It is even prevalent in adults. One of the main reasons behind this is the lack of sleep. Children who don’t get proper sleep tend to lose focus and attention and as a result falters in their academics making their grades fall considerably. Getting enough sleep will assure better attention and therefore higher grades. Losing weight has various factors associated with it, which includes dieting, exercise and most importantly, proper sleep. If you are planning to go on a diet, plan your sleep patterns as well. Dieters who get more sleep lose weight much faster than those who don’t. Less sleep also induces more hunger. Like many other factors, stress is also associated with cardiac health. The less the stress, the better your heart health is. Sleep, without any doubt helps reduce stress, blood pressure and also cholesterol levels. Less sleep also induces irritability which leads to depression. A good night’s rest, however, brings back emotional balance. Thereby, proper sleep is of utmost importance every day. However, due to various other factors, many people tend to either suffer from sleep ailments or find a hard time getting sleep. A proper sleep and wake up cycle is a great strategy to help you sleep better. 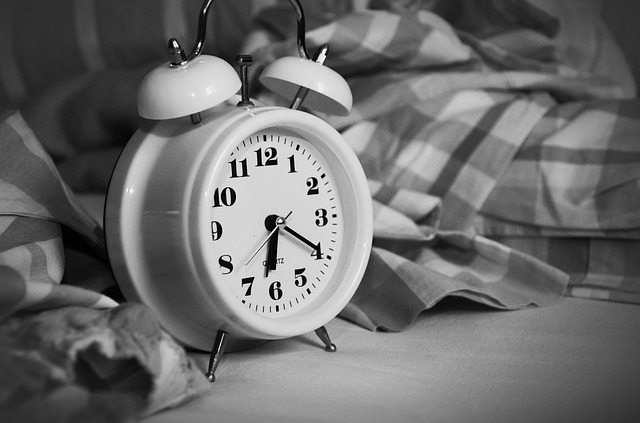 Make sure you sleep early at the right time and set an alarm every day at the same time to help you get up. This is one way to ensure that you are getting the proper sleep you need. Avoid sleeping in even on the weekends. A dimly lit room which has less exposure to light is much more relaxing to the eye. It soothes your nerves and your eyes, calms your over-worked nerves and therefore aids in giving you a proper and a good quality sleep. However, during the day, expose yourself to as much sunlight as possible. This will help you wake up and in turn, be more alert. Nothing induces a great night’s rest than vigorous exercise. The more you exercise, the better your sleep gets. And what’s more? It will keep your body healthy and your weight in check as well. Eating and drinking is also associated with sleeping especially what you consume before bed. Avoid too much caffeine and nicotine as they can cause sleep ailments. Anxiety is one of the main causes behind insomnia. If you want to sleep better, relax. Let your brain relax and wind down. Progressive muscle relaxation and deep breathing are certain relaxation techniques that can help you sleep better. You can also read a book, take a warm bath or even listen to some soft music before going to bed. Environment plays a major factor in inducing sleep. Keep down the noise, dim the lights, keep the room cool and make your bed comfortable for sleeping. Night time can get a bit stressful with all the thoughts eating at your head. This might harm your sleep. Stress forces your body to stay awake. Hence, to stay out of your head, you can practice breathing exercises which will help you sleep better. Go easy on the drinks before you go to sleep. It is more likely that you will wake up frequently and hence harm your sleep. Light colors induce more sleep than loud colors. They soothe the eyes and in the process helps induce sleep. Painting your bedroom a nice and a tranquil color will enhance your quality of sleep. Silence is an important factor in helping you sleep better. However, if you keep it too quiet, every occasional sound might enable you to wake up. Consider keeping a white noise machine or keeping your fan switched on. This is a common factor which is largely ignored but this also is how to get a good night’s sleep. An uncomfortable mattress is one of the main reasons for bad sleep. Instead of having to suffer the pains of sleepless night in the cold because your partner stole your blanket, consider getting yourself a separate blanket to sleep better. Aromatherapy is one of the best inducers of sleep. It is a well-known fact that the scent of lavender largely benefits sleep. As silly as it sounds, visualize yourself in a serene and a calm place, because believe it or not, this is one of the classic ways in how to sleep better. Don’t stress about sleep. Just get out of bed and do something else which relaxes your nerves. Then get back to bed when you are actually tired. Thus, as we can already see how sleep helps the body in supporting the healthy functioning of the brain which in turn will maintain your physical well-being. It heals, repairs and regenerates your bodily cells. It also helps in the process of healthy growth and development in teens and children. So follow the simple tips given above and get a good night’s sleep!